NB: Last week’s tart did go down well at the dinner party in case anyone was wondering! I originally thought of making an Italian Polenta cake as I like the grainy texture, but when I was given 3 bags of apples at the weekend I knew they had to be incorporated! 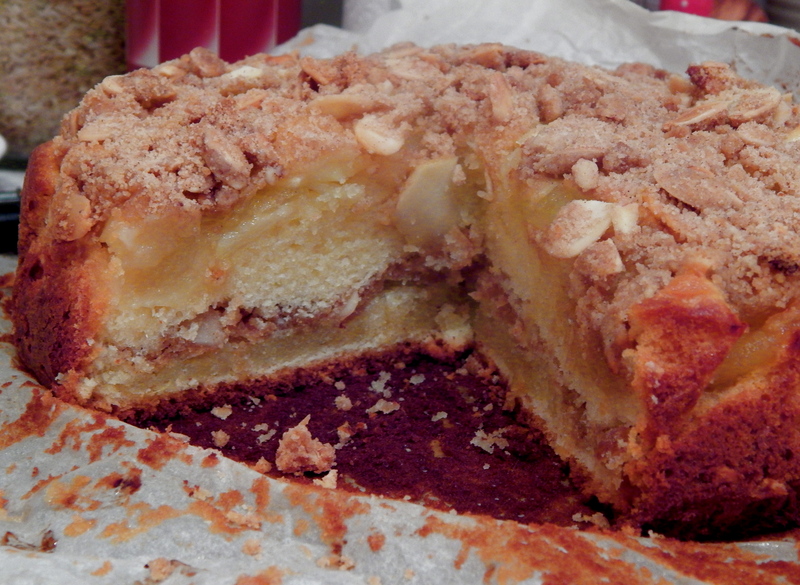 So German Apple cake it was. 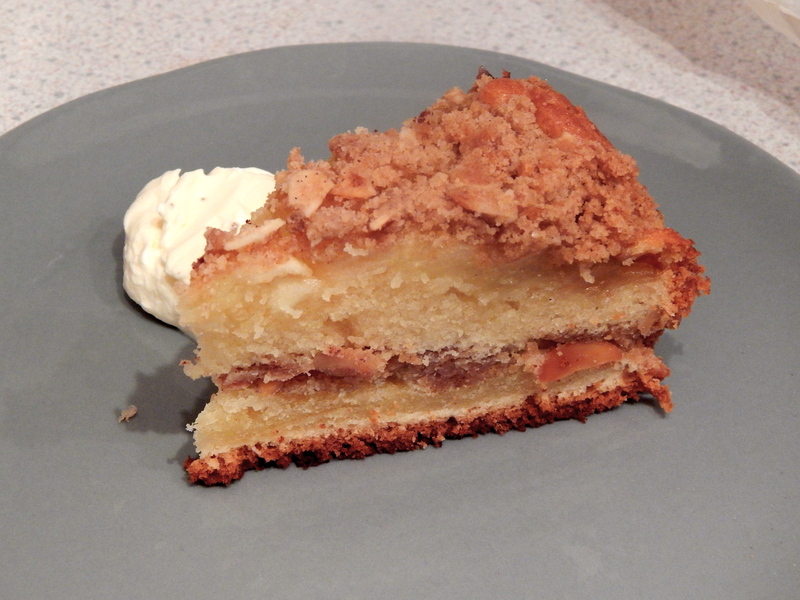 This cake is light and moist, with a tasty crumble topping, of which there is also a layer inside the cake. 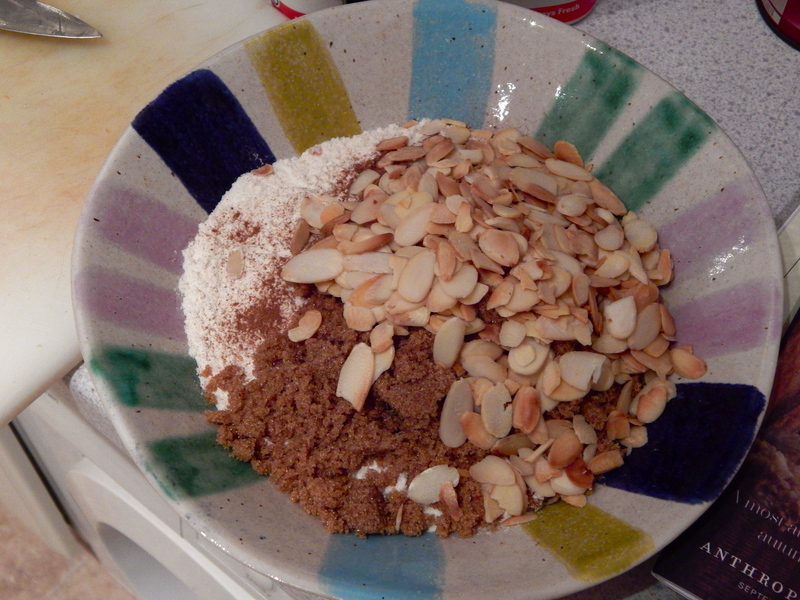 I liked the fact that toasted flaked almonds are used in the crumble – they add another nice texture and flavour. The original recipe uses sour cream, but I had a pot of crème fraiche that needed using, so subbed that in instead. If you’d rather use sour cream, just swap it back. Can be served warm or cold, and with crème fraiche or sour cream on the side too, if you fancy it. 1. Preheat the oven to 180°C/Fan 160°C/ 350°F/Gas Mark 4. 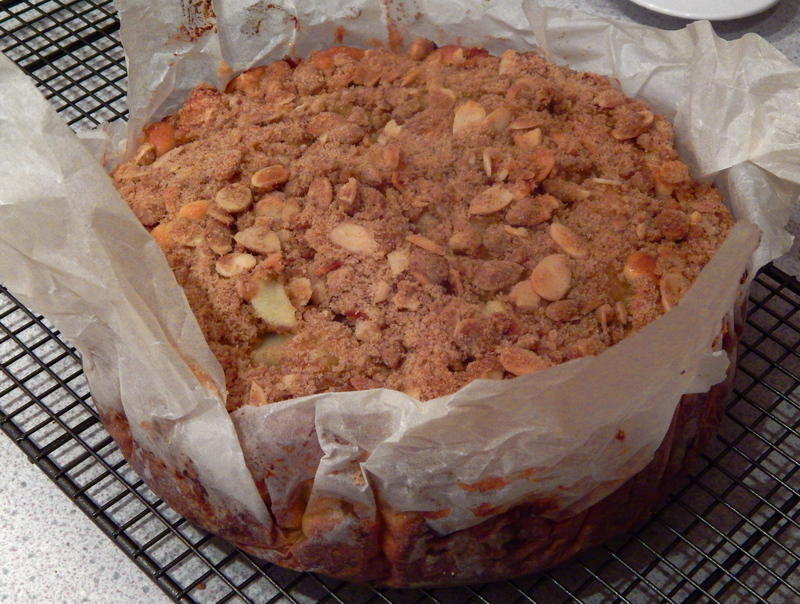 Line a 20cm (22cm in my case) spring form tin with baking parchment. 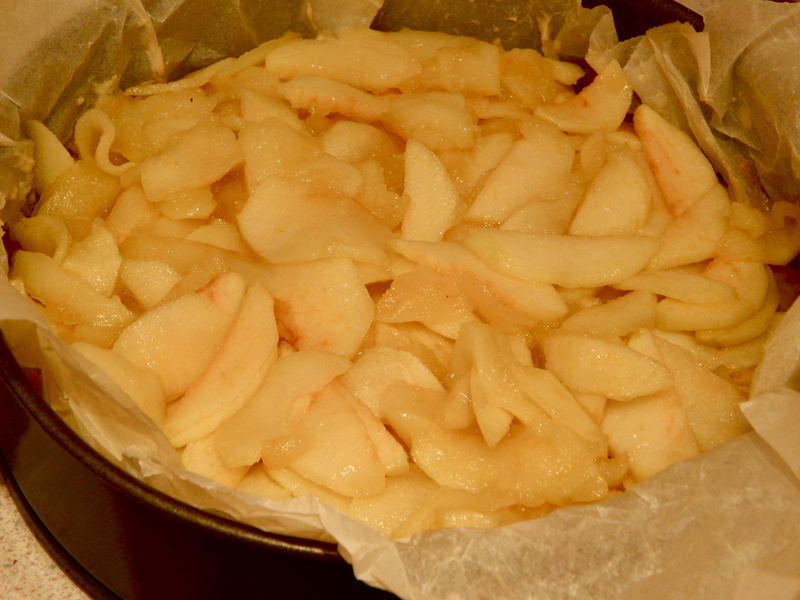 Melt 25g of the butter and sugar together in a large frying pan. 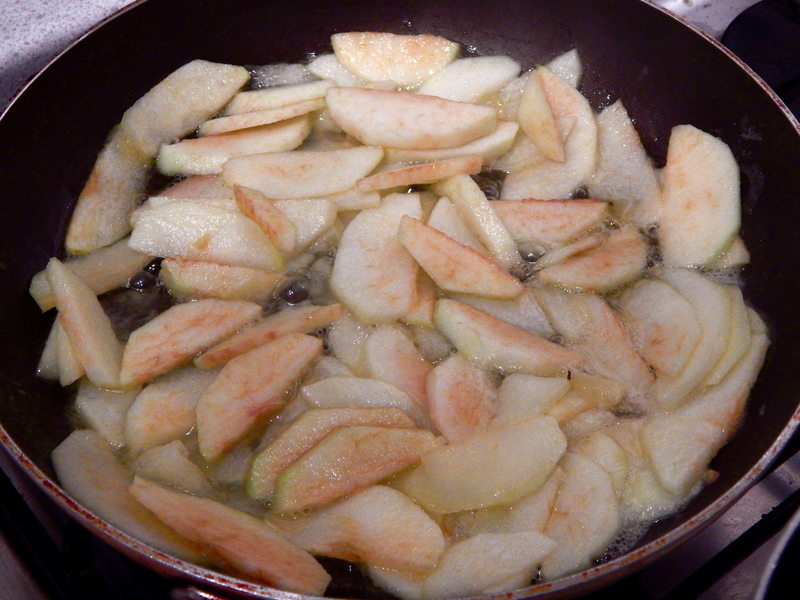 Add the Bramley apple slices and sauté for 3-4 minutes or until the apples are tender. Leave to cool. 2. 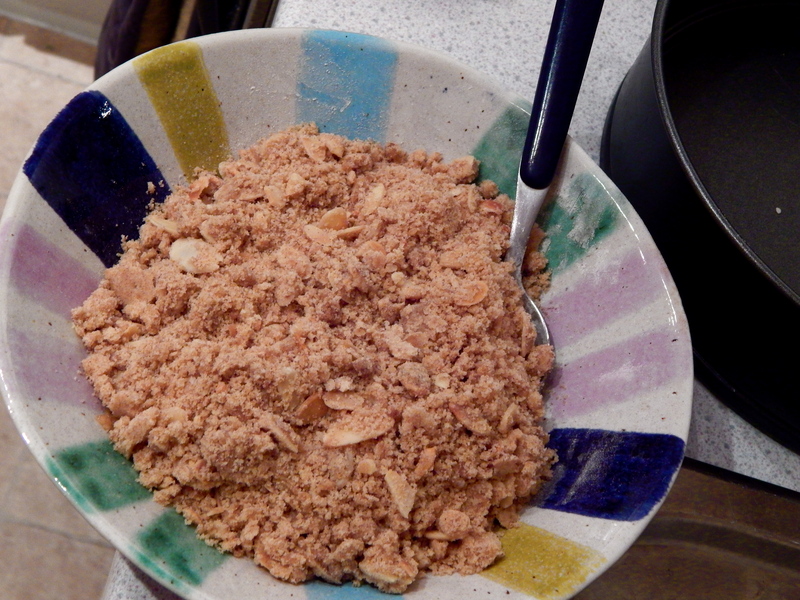 Make the crumble topping by melting the butter and stirring in the remaining ingredients. 3. 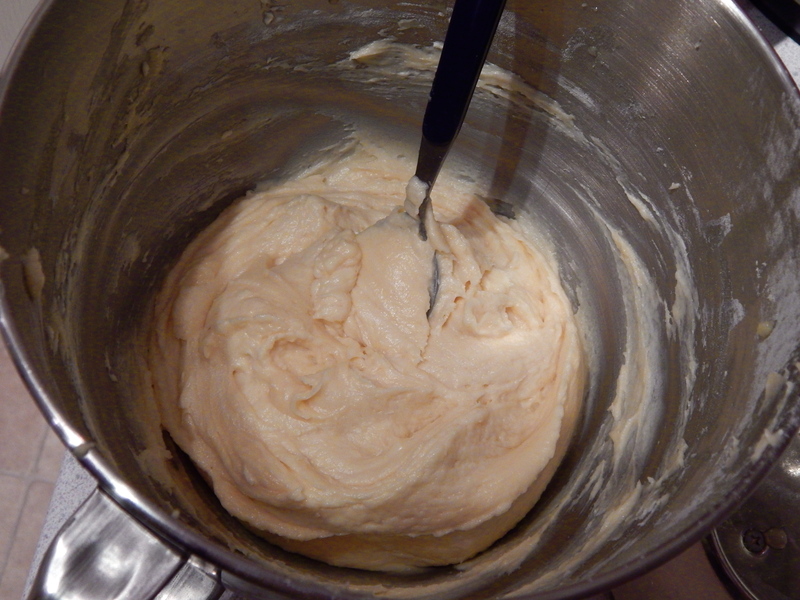 Cream the butter and sugar together until light and fluffy then gradually add the eggs beating well between additions. 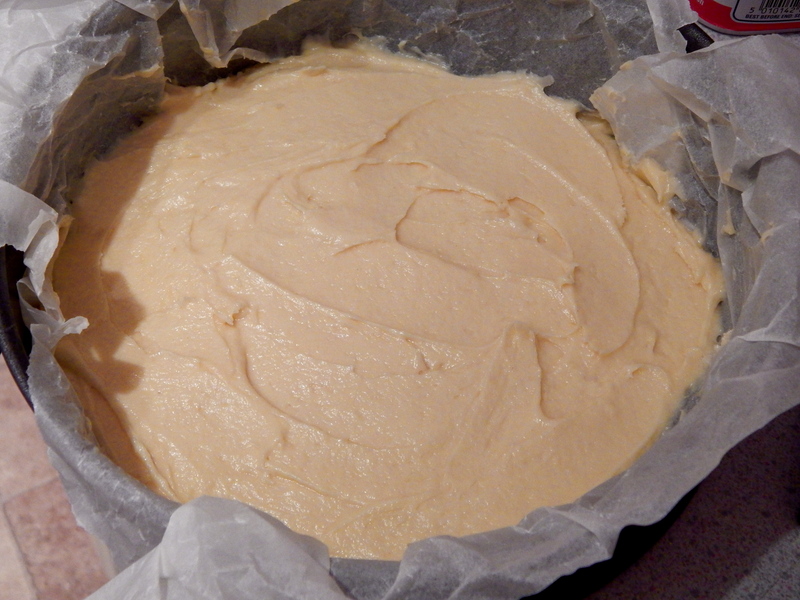 Sift over the flour and baking powder then gently fold into the mixture with the creme fraiche. 4. Spoon two thirds of the cake mixture over the base of the tin, scatter over a third of the crumble mixture and top with the remaining cake mixture. 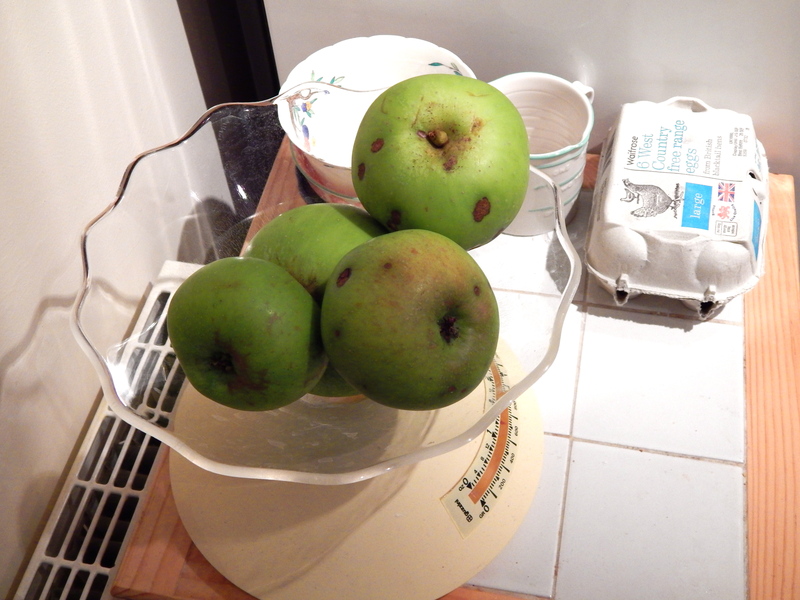 Finally, scatter over the Bramley apples and remaining crumble mixture. Bake in the oven for approximately 75 minutes. Cool in the tin for 10 minutes before transferring to a plate/rack.